Need a last minute gift for your mother? 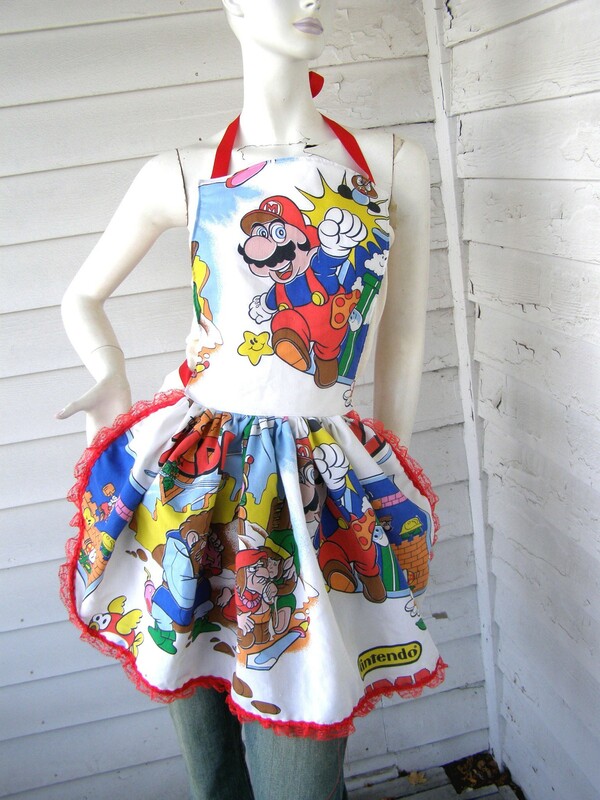 Get her this lovely apron! This stylish cookie baking must have chimes in at 4$ USD in the states, 5$ in Canada, and 8$ the world over. Mario and Zelda couldn’t look any better. So get your mom up to her cookie baking fashion style so while she enjoys Wii Fit Plus this winter, she can continue to sport some true gaming attire. You can find out more about purchasing this beauty at Etsy.